New England is one of the top spots to enjoy fall foliage in the USA. 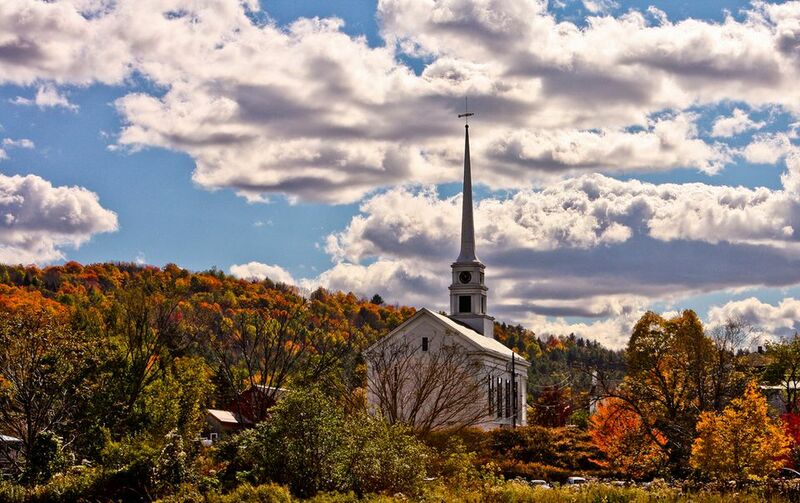 From Connecticut to Vermont and on up into Maine, dozens of forests, ample parks, and bucolic towns put on colorful displays. When planning your trip to see the pretty fall leaves, use our Fall Foliage Central guide as an amazing one-stop resource on autumn in New England. You can also follow a corresponding Twitter account—@foliagecentral—where you'll get up-to-the-minute news on autumn activities and leaf-changing forecasts. From Shenandoah National Park in Virginia to Pennsylvania Dutch country, several unique places in the Mid-Atlantic region have great autumn displays. Fall foliage viewing makes for a perfect day trip, of course, and our Mid-Atlantic guide tells where to view nature's show close to home. Check out our guide to fall foliage in Washington, D.C., Maryland, and Virginia to learn about the area's many state and national parks, national forests, and historic estates, such as Mount Vernon, where you can take in the scenery. For those living or traveling in Pennsylvania, check out the fall foliage drives in Western Pennsylvania for suggested spectacular nature drives you can take in the Pittsburgh area. Another particularly good spot for nature lovers is the Poconos, a popular vacation spot in Pennsylvania. Alaska is the earliest place in the USA to show autumnal color, and the Great Smoky Mountains, on the borders of Tennessee and North Carolina, is one of the last. In this region, fall foliage starts peaking in late September at higher elevations and then the color creeps down the mountains through October and November. Although the Smokies are a top spot for seeing fall color in the South, our guide to fall foliage in the Southeast in particular has even more information on peak viewing times and where to go. October is the time to be in the Midwest. You'll see peak color from early October in Minnesota and Michigan; mid-October in Iowa, Ohio, and most of Indiana and Illinois; and late October in Missouri. Fall in the Western United States is best experienced through Colorado and Wyoming, where you'll find the Rockies and the Tetons mountain ranges. Check out the best places to see fall foliage in Colorado, where peak viewing times run from mid-September to mid-October. Meanwhile, our guide to top U.S. National Parks to view fall foliage has listed the Tetons as one of the best places in the country to see autumn color. Another great region to view the autumn leaves is from the Pacific Northwest down to parts of northern and central California. Check out our primer on fall foliage in the Pacific Northwest, which has information on Washington, Oregon, Idaho, and Montana. If you're heading to California, consider visiting Yosemite National Park in the fall. Fall in the USA comes first in its northernmost and largest state. Alaska is rich with wilderness and includes eight national parks where you can view spurts of yellow, orange, and red among the evergreens as early as during the first weeks of September.